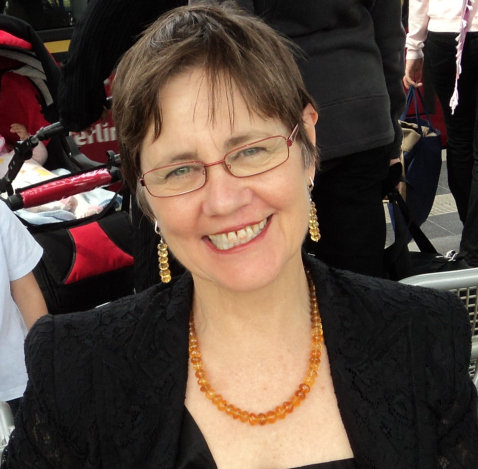 U Auckland German studies alumna Jan Kemp is returning to her alma mater for a book launch! In her collection Dante's Heaven Jan Kemp geographically locates Dante's point of emergence from the tunnel leading out of Inferno into Purgatorio in the Pacific Ocean. Here he views the Southern Cross for the first time. Jan sees him to Aotearoa/New Zealand where he experiences his first southern hemisphere sunrise, meets other poets and artists, learns something of her country's peoples, culture, flora & fauna and disguised as a pukeko (swamp hen) travels south to view Aoraki/Mt Cook, N.Z. 's highest peak. Kemp re-imagines the tor in a yacht-anchored, swimming bay near Auckland as a mini Mt Purgatory on which, in Maori myth, a girl sits and waits for her lover's return. Their reunion would take place on top of the tor, in Dante's 'earthly paradise', known in N.Z. as 'heaven'. In a concluding cycle of poems "Love is a babe", Kemp imagines for herself a male muse, Beatus, and gives Dante's young Beatrice a voice with which to address the young Dante of Vita Nuova. A poet with a lot of travel experience under her belt, Jan originally hails from Hamilton, but has taught literature at universities across the globe for many years. In the Queen's Birthday Honours in 2005 she was awarded an MNZM for services to literature. Find out more about Jan's poetry here. The reading and presentation will be in English and German.